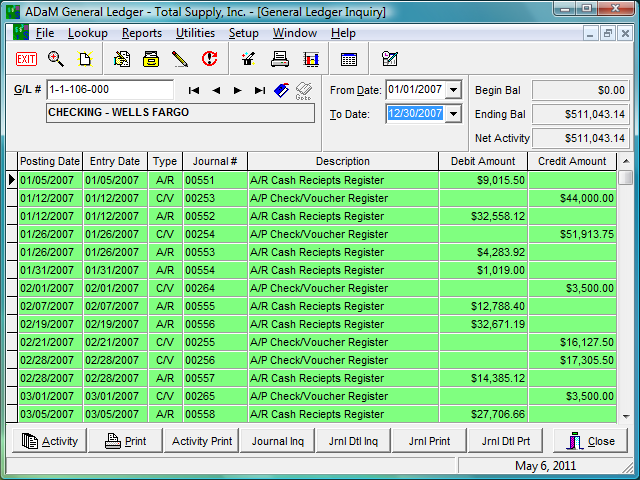 ADaM General Ledger provides the critical financial management function for your company. 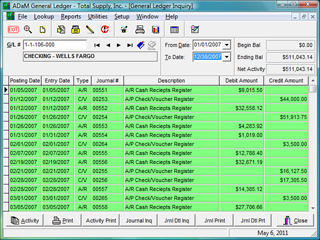 Allowing real time analysis of vital financial information, ADaM General Ledger helps you to keep up with the constantly changing business environment and stay ahead of your competition. Access to accurate, up-to-date financial data on the operations of your company allows you to identify and emphasize income generating areas, eliminate waste, control spending, and locate areas which are over budget to take corrective action.